When he made his debut in an international veteran championships last month, Anthony Whiteman became one of the few athletes to do so having already made the top at senior international level. The Shaftesbury Barnet Harrier reached the Olympic 1500m semi-final in 1996 and is the sixth quickest Brit in history for the distance with 3:32.34. However, unlike most top seniors, he has not completely hung up his spikes and has continued to perform at a high level. Turning 40 gave his career a new lease of life and he became the first veteran sub-four-minute miler outdoors when he clocked 3:58.79 in 2012. Despite regularly turning out for his club, Budapest was his debut in a major veteran championships and he predictably took gold with ease in the 800m, 1500m and 3000m. It was with some reservations that I entered the World Masters Indoor Athletics Championships in Budapest. I have shied away from age-protected events preferring to challenge my younger rivals in pursuit of sub-four-minute miles, M40 world records and national finals. So to Budapest. My family has had some experience of this event. My mother, Ann Gray, was a silver medallist in the marathon at Rome in 1985. After she was selected at the BMAF marathon championships, flights and basic accommodation were provided along with a subsistence allowance of £1 per day. She also received an official team kit for the event. The set-up has changed hugely from those days as in order to make the events financially viable, any over 35 can enter the wearing their national kit. Hence the athletes’ ability varies hugely across the events from the exceptional, gracefully ageing athletes – for example, I was happy to bump into old friend and 2002 Commonwealth 110m hurdles champion Shaun Bownes on the warm-up track – to hobby athletes. The main gripe among team members is the lack of recognition by mainstream athletics. The team kit that can be bought by the athletes is not sourced from UK Athletics. 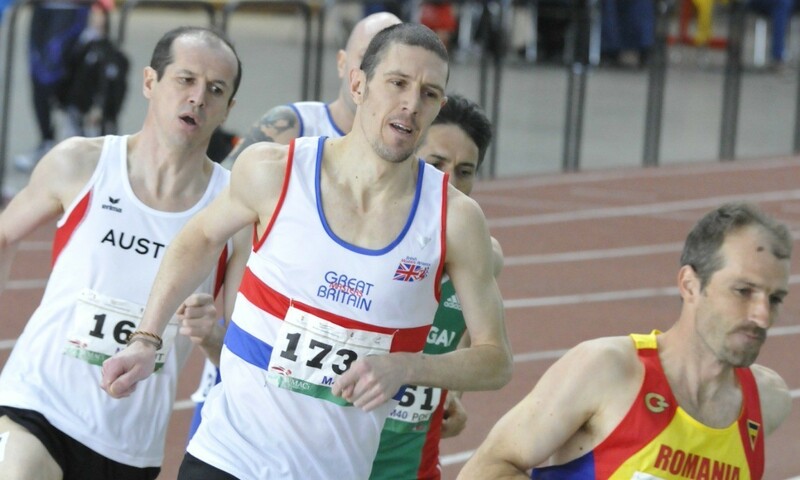 Some athletes are resourceful and have obtained official UK Athletics kit but have to wear the BMAF kit in events. Britain were among the most successful nations in Budapest so it is a shame that we do not project a single corporate identity in kit the athletes want to wear. No funding is available for any British participants and while I do not believe that a Lottery-type funding should exist – even though this would adhere to legislation designed to prevent age-discrimination – I do believe that competition assistance should be provided within an age-graded qualification structure. When you speak to veteran athletes they often speak humbly about being revered within their own communities and being role models not to children but to other adults. They follow good lifestyle and nutritional choices, adhering to government advice not to decrease their burden on society but in order to make a final, jump a national record, or throw a season’s best. We are a society in which the vulnerable are protected, whether it is self-inflicted or not. My experience in Budapest was very positive indeed with standards at the front of most finals being very high. The involvement of former senior international athletes can only improve the credibility of these type of events and help them move forward and provide challenges for masters athletes of all abilities.